Last week I spoke to you of "steeling ourselves for what's ahead" and "rebuilding and restoring our liberties", along with "getting in sync with God" ---- all principles that I continue to encourage and advocate. Make no mistake --- I am not content to accept this new reality in which I find myself. But over the weekend I felt myself changing positions, so to speak; actually being moved in thought and spirit to a new vantage point from which to view our difficult plight. Maybe it was the fact that, on Saturday night, I finished leading a year-and-a-half group study on the Book of Revelation, and saw "the Big Picture" in a clearer light. This was followed by the Sunday morning declaration of my Sunday School teacher that "America is done!" Perhaps it was because I realized that he spoke not of a mere political or social or economic condition, but of a Spiritual decline. Then it dawned on me ..... nearly a year ago, I was prompted to begin this blog. The catchy little title of "Salvation and Survival" appealed to me because I wanted to wake my countrymen and women up to the necessity of physically preparing for hard times; but I also wanted to include a not-so-subtle word from God to reach those who needed to hear from Him. I now understand it really is about our salvation and our ability to survive what the world will bring against us. Don't worry! I am not going to quit commenting on what I see happening to this country that I love so much, or offering solutions to bolster your preparedness. We have to live here and our situation cannot be ignored. But it is so much more apparent to me that there is no political solution to what ails us. We cannot be healed by a different leader from the other political party; or even a third party! There is no difference between them! It matters not whether a Democrat or Republican is in office. Indeed, it was a Republican-appointed Supreme Court (under President Eisenhower) that first took God out of the classroom in 1962. It was a Republican-appointed Supreme Court (under Richard Nixon) who gave us Roe vs. Wade and the permission to legally kill our unborn children. And it was a Republican-appointed nominee (Sandra Day O'Connor under our beloved conservative Ronald Reagan) who cast the deciding vote, allowing the Ten Commandments to be removed from the Courthouse. So much for putting our faith in a political party or movement! And that's the problem! What we need to come to terms with is this .... Our beloved land is sick in its soul and there is only one cure for that. It is not worshipping a political savior! But sadly, we have fallen short on fulfilling that potential, too. You see, not only do we not find salvation or deliverance through our political institutions or system, but our faith and the Church have been compromised, too. I'm sure I will be soundly condemned of blasphemy and heresy, but it just became so transparent to me in the last couple of days. Think about it! The Church, in its unfounded fear of losing its 501(c)3 status has strayed from teaching Biblical Truth and become comfortable in teaching a gospel of prosperity and grace. After all, any mention of Judgment and the pews are empty and the coffers are bare. So the pure doctrine of the Bible is watered down and compromised, while acceptance of gay marriage and abortion are tolerated and promoted in the hopes that they will garner votes. I am going to go out on a limb here. I believe that many Christian voters held their nose and voted for Mitt Romney, despite their reservations about his Mormonism and the conflict they felt with their Christianity. Even Billy Graham's website wiped clean any mention of Mormonism as a cult, as the Evangelical voting bloc sought all possible ways to both avoid offending anyone, and eliminating any Biblical objection to voting for their candidate. Biblical Truth was compromised for votes. COMPROMISE is the acceptance of lower standards. And I venture the opinion that as Christians and Americans, we have compromised our very souls. The Church is losing its influence as more people claim they have no room for religion in their lives; while the number of those who find their faith challenged is also climbing. When the Truth is diluted and the power of the Gospel's message is weakened, it leaves people feeling empty and misguided. Believers begin questioning the value of faith in their lives. That is what has happened in this country. The Truth has been lost and Compromise is killing our faith! 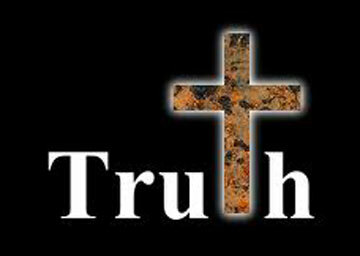 If America is to find her way back to her purpose, we as a nation and a Church, must return to the Truth. All compromise and deception must be removed. I recently read a devotional on a prayer website that stated, "We are not insignificant pawns, subject to the whims of politicians, but powerful servants to the will of our God." Did you get that? I am a citizen of the Kingdom of God FIRST, and that is where my allegiance should lie. So I ask you .... Are you ready to become powerful? Not in the sense of the world, but through the Spirit of God? And are you willing to stand for God's Truth instead of a "Gospel Lite"? I believe our Salvation and our Survival depend on it! I have heard it said, who you are does not depend on your circumstances. It is your circumstances that reveal who you really are. And I think we can all agree that our circumstances are pretty dire. But I no longer want to be identified by my political party or my social leanings. I am a child of God, seeking to serve Him and fulfill His purpose for my life. I know I am here, at this time, for a specific purpose. My hope is that I will hear His call on my life, see the Truth in the world around me, and share it with you. I now know there is no political Salvation, and my Survival depends on a different kind of election .... my election to an eternal relationship with the True Savior of the world. That's what I wish for you. Isaiah 65:1-3 "I revealed myself to those who did not ask for me; I was found by those who did not seek me. To a nation that did not call on my name, I said, ‘Here am I, here am I.’ All day long I have held out my hands to an obstinate people, who walk in ways not good, pursuing their own imaginations— a people who continually provoke me to my very face ..."
Rory, you are right, and the coming years will most likely see more Supreme Court Justice appointees that will further erode the foundation of America. We get what we deserve! Yes, half of the nation did not ask for this, but when 50% have fallen so far from the original intent and purpose of this nation, then we will pay the consequences. Great post this morning Belle, couldn't agree more. I wanted to respond to GreenEyedJinn's comments yesterday. I appreciate what you said and as a mother all those thoughts went through my mind. His father had a more heart to heart talk about the financial benefits he would be throwing away. Ultimately the decision is his and we as parents can only try to understand and support whatever new path he pursues. Thank you for the tip on the Reserves. I will pass that advice on to my son. ALL OF US.... whether we agree or disagree on your son's decision .... wish him and his family well. Not everyone is at the same place in their level of faith, and no one can know what is truly in another's heart. I have talked to the Chaplains in the Army --- maybe they are different in the Navy --- but they are disheartened and fearful of the fading influence of faith. Their opinion cannot be discounted. Ultimately, I hope your son and his family are on the same page and ready to walk together in whatever their future brings. Let him know we are praying for him! Yes, I applaud TruNews for being bold in their proclamations, and I strongly felt that Americans needed to face the reality of where we are as a nation. Our fight is spiritual, not political or social. For those who continue to think we can solve it otherwise, the coming days will be difficult to understand and overcome. Here, here! This is the first time in my life I have refused to vote, not out of apathy but out of disdain for the "lesser of two evils" nonsense. No more, the two major parties are two wings of the same bird, which is a vulture perched on our nation's capitol. As St Thomas More said "The King's good servant, but God's own". He lost his head shortly thereafter.